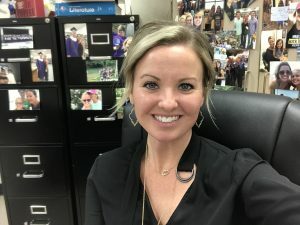 My name is Heather Boisjolie, and I am in my 15th year as a educator. I have taught 7-12 grade English over the past 14 years in three different districts, and I am currently the Testing Coordinator at Weatherford High School, a 6A school district with about 2400 students. I am also enrolled in the M Ed in Administration program through Lamar University, and I will complete my principal’s program in March. I live in Tolar with my husband and our two children.